The Highlands Ranch Metro District is seeking a Park Planner for the Parks, Recreation and Open Space Department. The Park Planner performs design tasks and planning work, performs project presentations, writing of specifications, and offers field support of new capital projects including parks, trails, parkway landscaping, and renovation projects. The position includes supervision over consultants and contractors and general supervision over seasonal or other section staff as needed or required. The Park Planner provides project management for the construction of District projects, acts as field coordinator and inspector and oversees other assigned projects to ensure contractor compliance. For more information see the Job Announcement. Colorado Water Trust Is Hiring an Executive Director - Ten years ago Amy Beatie took her dream job as Executive Director of the Colorado Water Trust. Now it’s your turn to work with some of the most talented, thoughtful, and creative water and conservation professionals across the state of Colorado! Amy writes, “I would encourage people to apply even if they meet only some of the qualifications. It's the kind of job that requires the wearing of many hats, yet the lack of experience with all facets shouldn't stop a fast-learner - one who loves rivers, wants to work with an amazing, engaged, and impactful Board, is interested in leading an all-star team of staff members that works hard but likes to goof around and spend time outside, wants to connect donors and funders with impactful conservation, and has the drive to continue to guide the group ever forward - from applying. Even the most seasoned applicant will need on-the-job training. 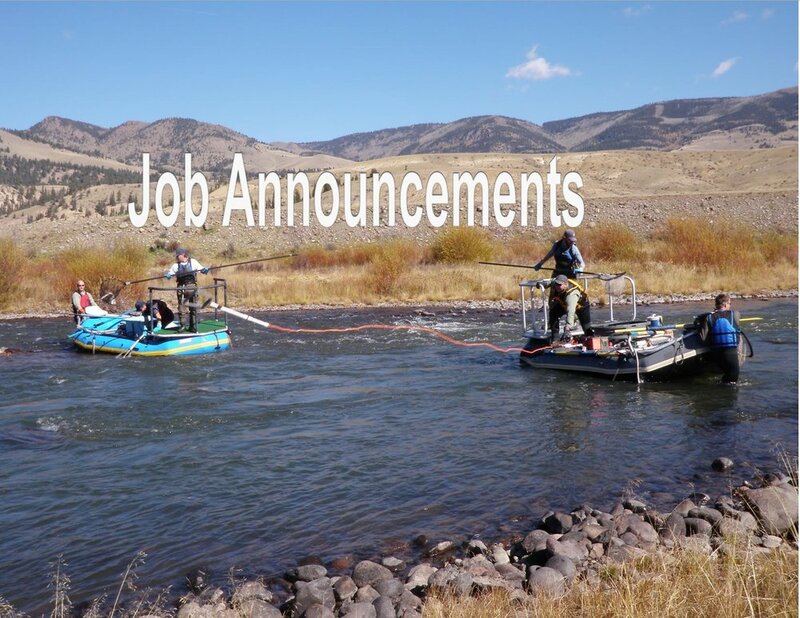 I've been here for nearly ten years and I learn new things every day.” Please contact Amy at abeatie@coloradowatertrust.org or 720-204-5843 or view the job posting for additional information. City of Boulder Open Space and Mountain Parks is hiring a Landscape Architect II. Posting closes July 9th at 5:00 pm. This position assists in the development of design and construction priorities, workplan schedules, project implementation and staffing requirements. The person in this position will develop, organize and coordinate a team approach to design and construction projects. APPLY HERE. Assistant District Forester in Franktown and Montrose, Colo.
Assistant District Forester (Good Neighbor Authority) in Durango, Grand Junction and Gunnison, Colo.
Forest Stewardship Program Manager in the Forest Management Division, Fort Collins, Colo.